You’ve probably noticed that Google’s search results are becoming much more visual. Instead of just a string of text links, you’ll more often get served a lineup of images, videos, cards, and lists. 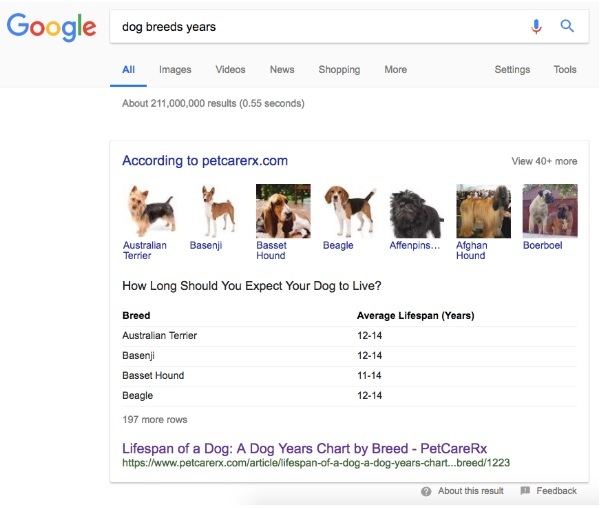 Some of those results are reserved for giants like Wikipedia or Google Maps, but there’s also a slot where mere mortals find themselves in the spotlight: Position Zero – also known as the Featured Snippets. Keep reading this article to discover what the #0 ranking position is, what makes it so important, and how to get your own website into that spot. Some questions don’t take very long to answer. 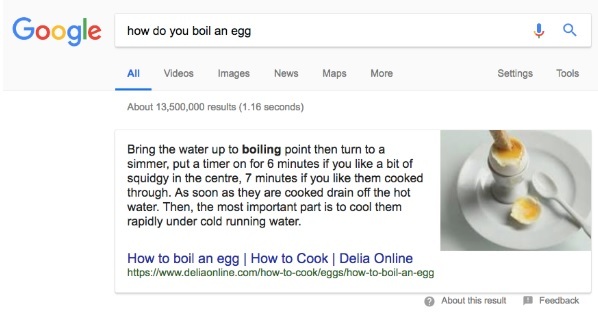 For example: how do you boil an egg? If you want to know more, you can click through, but many readers will be satisfied with a short answer like this one. That’s exactly why Google rolled out Featured Snippets: to provide anyone who’s searching with the quickest possible results. So how does it work in your favor to land in that Position Zero spot? Many people won’t actually click through to your website since the answer is right there. Online marketing giant Hubspot conducted research and concluded that a page in position 0 will actually receive 114% more visitors than the page in position 1. Let’s say that’s pretty effective. Is it relevant to your company? Featured Snippets often answer how/who/what/why questions with concise answers. For any organization there are certainly answers you can come up with that will help you reach your target audience. But reaching the 0-position isn’t in the cards for everyone. As a small business owner, the smartest strategy is to set your sights on local SEO. If you’re struggling to rank highly in search results on a regular basis, it’s best to concentrate on general SEO tips like link building and readability. Is your website reaching top ranking quite frequently? That’s the perfect opportunity to aim for that Position Zero. Hubspot’s research shows that traditional ranking factors like site authority have much less of an impact in the choice of the Featured Snippet in the top results. Identify keywords that are already helping you score and decide which questions to match them with. Are you unsure of your top ranking keywords? With a solution like webtexttool’s Content Ranking Index, it’s easy to keep an eye on the keywords that are working in your favor. By now you have a list of keywords that are improving your Google ranking. Take a closer look: are they the kind of how/what/where questions that Google usually places in Position Zero? If they are, but someone else is ranking on top: keep optimizing your page for a position 0 ranking. More on that in a moment. If they are not: try to think of related questions that could help you land in the #0 position. webtexttool’s keyword analysis will offer you search queries related to your top keywords! Perhaps your readers enjoy an elaborate literary essay on a specific topic, but it won’t land you in Position Zero. Try to answer a question as simply and clearly as possible. The ideal text length hovers between 54 and 58 words. Does that mean that your blog or article needs to be that long (or short)? Absolutely not! In fact, Google loves it when you do a (structured) deep dive into your material. Just be sure to include a short summary that provides an answer to the main question. or columns and tables to outline more complex information. Any question can lead to yet another question. It’s a great opportunity to reach the Position Zero slot in even more search queries. That’s why it’s important to include links to related questions in your articles and posts. A simple way to find related questions is to type your own search query into Google. At the bottom of the results page, you’ll find alternative questions that people are searching for. How do you make iced coffee? How to make iced coffee with milk? How to make vanilla iced coffee? The Position Zero ranking is never set in stone. That’s great news if you have yet to reach that top position, but a bummer if you’re already on top. That’s why it’s smart to keep an eye on your ranking in searches that are essential to your website and audience. With the Content Ranking Index, you can monitor how you rank for (a maximum of) 30 different keywords compared to your competitors. Thanks to automated weekly or monthly reports, it’s easy to know when it’s time to take action. 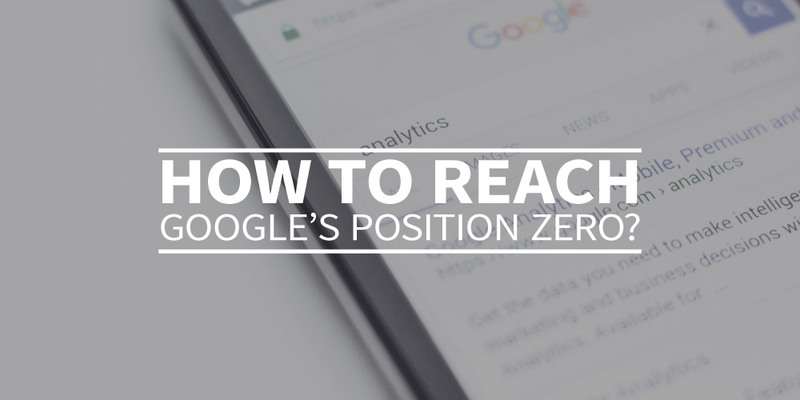 Think of Position Zero as the pinnacle of your SEO strategy. It is the final optimization that can help you overtake your competitors. However, it’s important to keep track of the basics of search engine optimization. Ensure that all your content is automatically made Google-proof. For example, try the SEO-editor by webtexttool (also available as a plug-in for WordPress, Drupal, Joomla, SiteCore, and Word). 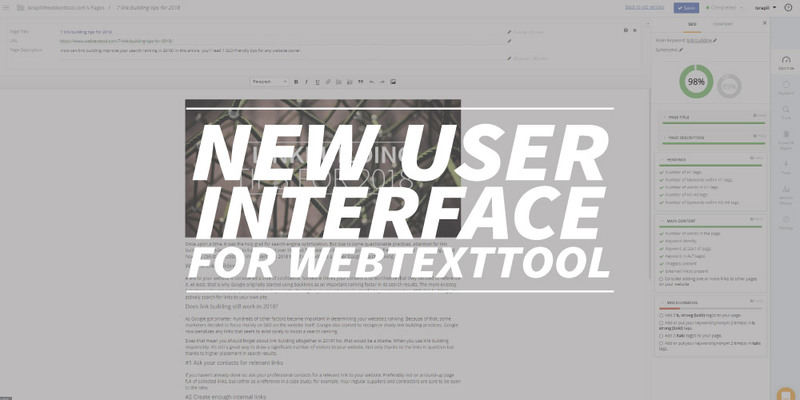 Recently we’ve launched a brand new interface of webtexttool. We worked very hard on this new interface which gives our users an even better experience of creating content! In the past years we have been adding a lot of functionality to webtexttool. The time came to declutter the users interface and reorganize where you can access all functionalities on the editor page. All fonts and icons are restyled. The most important optical change is the position of the menu in the dashboard. The menu is moved to the left side of the dashboard. You can easily switch between modules which makes the process of optimizing your content even more. The editor became more user friendly. While writing your text you can easily use one of the other modules without leaving the editor; like a keyword analysis or setting a page tracker. There’s also an option to check your version history and restore your text if necessary. Right now you can try the beta version of the new user interface. As a webtexttool user you can easily switch to the new version (click on the orange button ‘new version’ in the menu on your dashboard). We would like to hear your feedback to improve the new interface even more and make the definitive switch to the new design. Start a chat conversion or fill in a short questionnaire. Besides the new interface we’re also working on an update and extending of our features. We update webtexttool regularly to add new features and improve existing ones. Our mission is to make content creation easy and fun. A high-level overview of each update, you’ll find in our knowledgdebase. Looking for specific features, functionality or plugin(s)? Or do you have SEO questions? We love to hear your ideas and suggestions – please get in touch: support@webtexttool.com or start a chat conversation! Once upon a time, it was the holy grail for search engine optimization. But due to some questionable practices, attention for link building in SEO-land seems to have dropped over the past few years. In this article, you’ll get a refresher on what link building is and how you can still successfully implement it in 2018 to get your website a higher Google search ranking. A link to your website is considered a vote of confidence. Someone thinks your content is so worthwhile that they decided to reference it. At least, that is why Google originally started using backlinks as an important ranking factor in its search results. The more existing links from relevant and popular websites to your site, the higher you would score in specific keyword searches. With link building, you actively search for links to your own site. Does link building still work in 2018? As Google got smarter, hundreds of other factors became important in determining your website’s ranking. Because of that, some marketers decided to focus mainly on SEO on the website itself. Google also started to recognize shady link building practices. Google now penalizes any links that seem to exist solely to boost a search ranking. 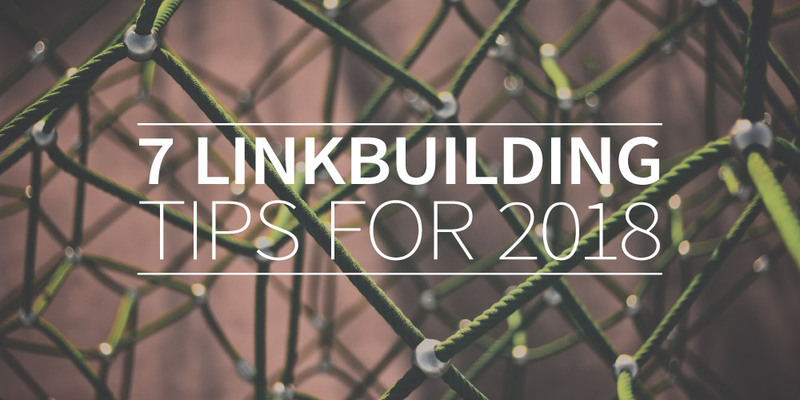 Does that mean you should forget about link building altogether in 2018? No, that would be a shame. When you use link building responsibly, it’s still a great way to draw a significant number of visitors to your website. Not only thanks to the links in question but thanks to higher placement in search results. If you haven’t already done so: ask your professional contacts for a relevant link to your website. Preferably not on a round-up page full of collected links, but rather as a reference in a case study, for example. Your regular suppliers and contractors are sure to be open to the idea. Another quick link building hack is to create internal links on your website. Be careful not to overdo it, though. Always keep the website visitors top of mind. When would it be relevant for them to have the option to navigate to another page? Just like link building, guest blogs have been declared dead multiple times over by SEO marketers. That definitely had something to do with poor guest blogging practices where blog posts were placed on unrelated platforms on a massive scale. But writing guest blogs can still add value when you do so on websites that are related to your field and actually have something relevant to offer their visitors. Reviews on sites like Facebook, Google Maps, SiteJabber, and Yelp are very valuable since they do double duty as links to your website. Actively ask your clients and customers to leave you a review on those platforms. You could offer a reward like a discount voucher or an entry in a prize draw. Most platforms won’t allow you to explicitly request positive reviews, but asking for a review is fine. Webtexttool’s competitor analysis allows you to find out who your most important online competitors are. You’ll also discover in which keyword searches they rank the highest. Next, take a look at your competitors’ successful blog posts or pages containing those keywords. Choose one of those articles, then write an article on the same topic. The huge difference: make your article ten times more excellent. Spend more time writing it, add more visuals, quote more experts, etc. The resulting article will generate more links over time. There’s really no need to wait passively for great backlinks. If you’re offering truly incredible content, you can actively request backlinks. A smart way to do so is to use a tool like Moz Site Explorer to discover which sites are linking to your competitors’ pages. Next, reach out to those sites and ask them to include a link to your (superior) content instead. Link building is just one element of search engine optimization. Rather than a one-time project, think of SEO as an ongoing effort. Website owners who use webtexttool report an average rise of 300% in Google search results. As you write, the smart editor offers real-time tips to make your content SEO-proof. For example by suggesting that you include a relevant internal link in your article. This article was written by a robot. It took me (the robot) about two milliseconds to do. A source here, a source there, add some artificial intelligence and done. You can also hire me to write articles for your website. Then together we can fool Google and get you higher in the ranking. Are you still hiring content creators? That’s a thing of the past! I am much faster, cheaper, and I never miss a deadline. To be clear, the paragraph above was actually written by a flesh and blood human. But the idea isn’t completely fabricated. So-called content creation robots are slowly gaining traction. They are artificial intelligence apps that create coherent stories based on data input. For example, they might create a recap of a sports event or report on a company’s stock performance. So what does one of those robot articles look like? A great example is this football game summary in The Washington Post. The sentences make sense, the grammar is solid, and the story has a logical structure. For now, that’s the strong suit of content creation robots: they can take standardized data and turn it into a neutral and coherent story. It’s bots like these that allow media sources like news agency AP to boost their editorial output for the web with dozens of additional reports each day. I was hoping the bot would respond with “Baby, don’t hurt me” (here’s that 90’s hit, in case you missed it), then I would have packed up my pen and left the writing to our automated friends. Instead, the app produced a mediocre article about how to get rid of your love handles. 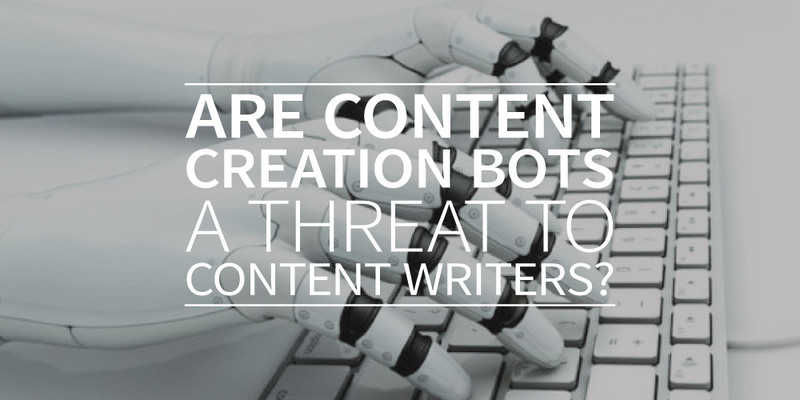 How do automated content creators affect your SEO? Definitely don’t use the robot article listed above, though. 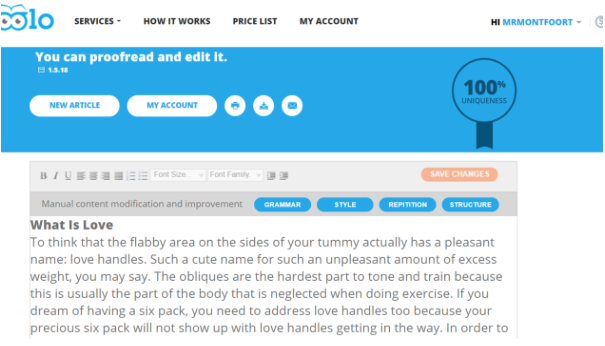 I googled the first sentence (“To think that the flabby area on the sides of your tummy…”) and saw the exact same thing on six different websites. Google mercilessly punishes that kind of plagiarism: your article won’t appear in the top 20 results of a search query. There are definitely content robots that are able to pass the plagiarism test, especially when creating content in English. What does that mean for your content marketing? Soon, bots should be able to create (low quality) SEO articles to help boost your Google ranking. It’s a way to trick the search engine. Of course, the company’s mission is to offer its users the best possible results, not old content that has been rehashed without any new insights. Neither Google nor your visitors care whether a mediocre article was written by a robot or a human. Either way, it’s a boring piece of content. Website owners who still rely on content mills will begin to experience competition from content robots. In the battle for attention, giants like Amazon will take an even bigger lead, since their sheer scale makes it easy to take advantage of content automation. A smarter move is to consider the human side of your organization when creating your content marketing strategy. What kind of unique insights and experiences are your employees willing to share? That could lead to fewer, but stronger articles. Of course, it’s wise to use artificial intelligence to improve the quality of your human-written articles. During the writing process, webtexttool offers live insights and tips about the readability and discoverability of your text. The tool can also help you identify keywords that are of interest to your target audience. That way you let a robot handle what it does best, while you stay in control of content and creativity. Curious to know how webtexttool used big data-analysis to create better content and to draw more traffic to your website? Get a 30-day free trial. Very few people read a text from A to Z. They scan. And if they don’t find what they’re looking for as quickly as possible, they’ll tune out. As a marketer, writer, or owner of a webshop, it’s in your best interest to write straightforward content that is compelling and easy to scan. 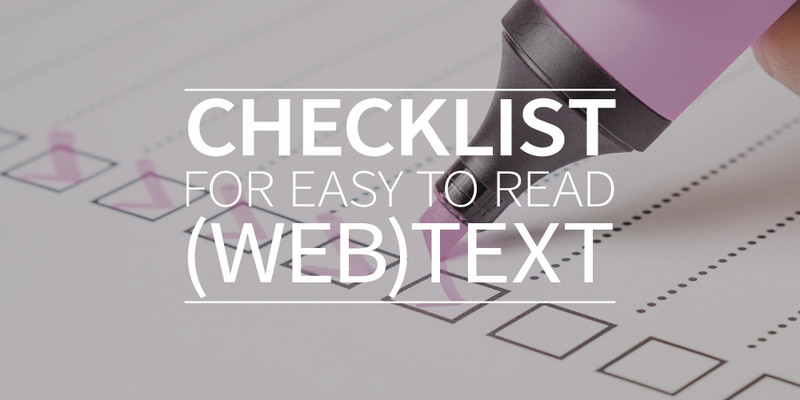 In this article, you’ll discover a simple checklist to help you improve the readability of your web texts. How do your visitors want to be addressed? What kind of questions do your visitors have? How can you answer them as quickly as possible? Tip: Focus completely on your visitors, but use a helpful tool to make sure your text complies with SEO requirements. A novel might have a pages-long and mysterious opening scene, but the average website visitor tends to tune out after an incoherent intro. Make sure you always lay out clearly what the reader can expect. And be honest. Making promises in the intro that you don’t follow through on, is bound to backfire. ‘Goofy’ fonts are distracting, so be sure not to use them unless they serve a clear purpose. The website fontpair.co offers beautiful font combinations that are easy to read on any device. Even better is to call upon a designer to help you out. Font size, line spacing, and paragraph width are all important factors in readability. It’s often better to steal something good than invent something bad, so find inspiration on other websites with great typography, like medium.com or aiga.org. Visitors scanning your website want to see what an article is about in the blink of an eye. That makes it important to use subtitles. Announce chapters with a subtitle (H2). Chapter sections call for a smaller subtitle (H3). Big chunks of text are hard to scan. The book A Writer’s Reference suggests an average paragraph length of 100 to 200 words. That should be much shorter for online text! Many of your visitors will be reading your content on their smartphones. In that case, a paragraph length of three to five sentences is ideal. information is easier to retain. But make sure only to use bullet point lists when they add value to the content! Describe ‘who’ is doing what. The gutter will be cleaned. Our specialist will clean your gutter. Using words like ‘maybe’ or ‘a little’ tend to tone down your message to your readers. Aim to avoid soft language as much as possible. No one loves to read endless meandering sentences loaded with commas. But too short can be equally hard to read. Be sure to alternate short and long sentences to avoid those issues. Consider reading your text out loud to yourself. That can be a great way to decide whether it has a good flow. This article covered how to compose a clear-cut text for the web. An intro that explains what the article is about. Easy-to-read letter type, font size, and line spacing. Use subtitles for each new topic. Keep your paragraphs to a maximum of 3-5 sentences. Use bullet points when they add value. Avoid weak language (maybe/a little). Alternate short and long sentences. Always write with your typical visitor in mind.